Four incidents recently showed anew how keenly Islamic supremacists want to shut down the freedom of speech — and how eager many Americans are to accommodate them. The risk of defending free speech against violent threats and intimidation is higher than the reward? If the Founding Fathers had thought that way, we wouldn’t be having this conversation now. 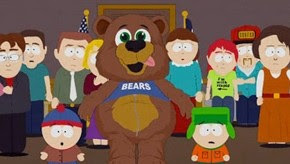 If the enemies of free speech, such as those who threatened “South Park’s” Matt Stone and Trey Parker over their Muhammad episode, see that death threats will frighten their victims into silence, they will only issue more death threats. Unless free people stand up and defend the right of free discourse no matter what the risk, we will surely lose that right — and any ability to stand up against the tyranny of a powerful group whose word and status cannot be questioned. The plight of women in the Islamic world is real. The Army should have given Franklin Graham’s explanation of his remarks thoughtful consideration — just as they should have considered the implications of the fact that the chief group complaining about Graham’s appearance at the event was the Council on American-Islamic Relations (CAIR), an unindicted co-conspirator in a Hamas jihad terror funding case. Instead, now the Army is abetting the whitewashing and cover-up of the institutionalized mistreatment of women in Islamic law. The Graham invitation could have been, as Barack Obama might say, a “teaching moment,” and an opportunity to stand up for the human rights of those women and other groups oppressed by Sharia. Instead, it is just an occasion for more submission to Islamic supremacists. Ah, but Muslims are offended, and so heads must roll — figuratively, in this case. Meanwhile, the Miami-Dade Transit authority likewise demonstrated a willingness last week to bow to Islamic law — although in this case the 1st Amendment won out. The Freedom Defense Initiative, a new organization I have begun with Pamela Geller, placed ads on Miami buses supporting religious liberty, offering help to Muslims wishing to leave Islam but threatened by their families in accord with Islam’s death penalty for apostates. Miami-Dade Transit quickly removed the ads, explaining that they were “offensive to Islam.” After our lawyer reminded Transit officials about the 1st Amendment, the ads are going back up, with more added. Islamic supremacists continue their assault on free speech in America, and they are mostly winning. It’s time to hand them a few losses on this most crucial of fronts.